It is a crisp winter morning in Helsinki. The city is buzzing with tens and thousands of people gathered for Slush 2017. Right next door to this hustle and bustle is the pop-up kindergarten set up by Fun Academy. It’s filled with 20 preschoolers and their teachers who are taking part in the amazing Future Astronauts Training. They are huddled together for the grand finale and the excitement is building up. 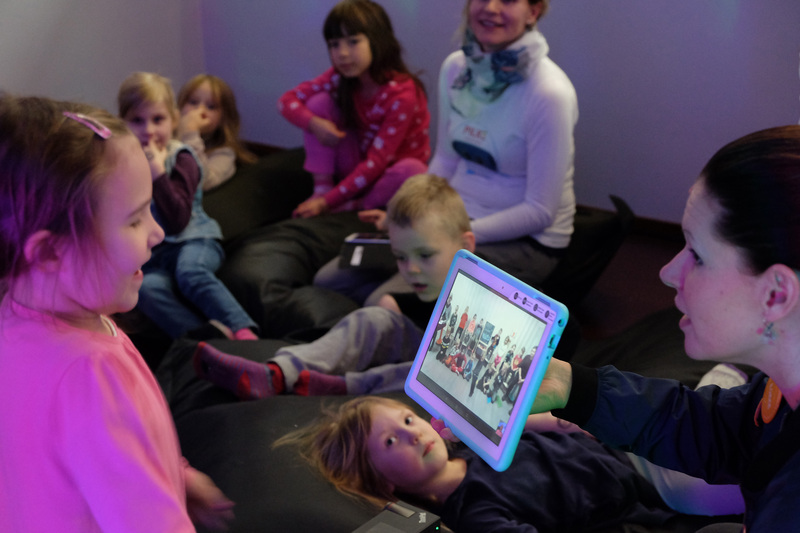 The event anticipated is a live call with a group of preschoolers 400km away in Kuopio. The preschoolers from Helsinki are splattered across bean bags and comfy carpets set out for them. Some are full from the amazing space inspired lunch they had. Others are still tucking into the bright blue potato foam or munching on space rocks made of chocolate and berries. 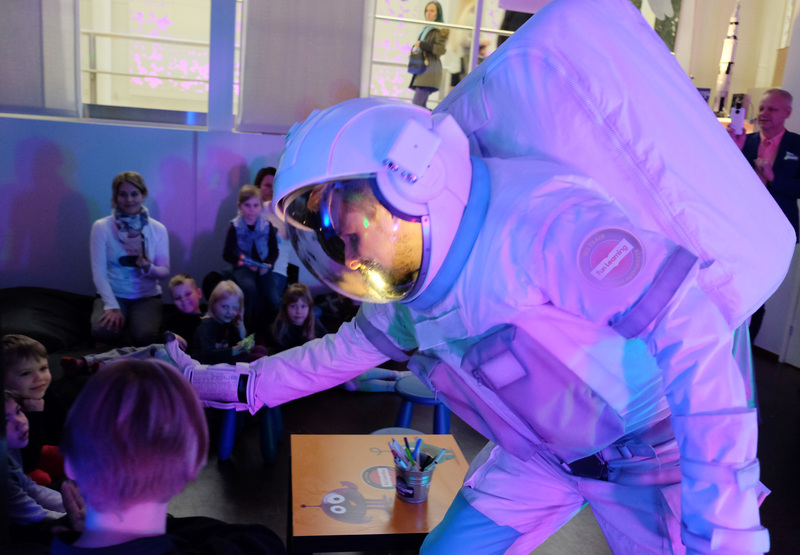 Many can’t take their eyes off of the astronaut who just visited the kindergarten. He has also settled down among the children for the video call. Soon the devices are set up and the cameras are turned on. Just like that the Future Astronauts from both ends see each other for the first time. This is a first time collaboration for the preschoolers at Kuopio Väläys Science Pilke Kindergarten as well. More importantly, it is also their orientation to the Future Astronauts Training Program. The aim of this virtual meeting to provide Kuopio Väläys an inspirational start to the program. Moreover, it also aimed to introduce children to this simple and exciting way of connecting and sharing experiences. This collaboration was made possible by our partner in technology Lenovo. They provided the Lenovo ThinkPad Stack Mobile Projector and 10” Tab 4 products. These devices made the full user experience for the children and also for the teachers incredibly seamless. Saara, our VP of Education and Future Astronauts Trainer, showed the room of action from different angles. This was thanks to the mobility and comfort the devices provided. Furthermore, she alternated between showing the children to following the astronaut. Moreover, she even went for a close up of the super cool space inspired lunch served. Before long a little girl from the Helsinki end stepped up to take control. She navigated the tablet and engaged in an animated conversation with her new friends from the other side. After a few minutes everyone in Kuopio and Helsinki, big and small, got on-board this learning adventure. Clearly everyone was curious to explore even more. The goal of Fun Academy is so simple it’s outrageous. We want to make learning fun for kids everywhere in the world. We want to empower teachers across the planet to support kids to become the best versions of themselves. Thus, our dedicated team of pedagogical experts develop the best fun learning solutions. We create fun learning environments, learning resources and digital tools. Moreover, we collaborate with partners such as Lenovo to help us share our knowledge with the rest of the world. Fun Academy supports children all over the world to explore, learn, connect and share. We want to build a new tomorrow through education technology, together. 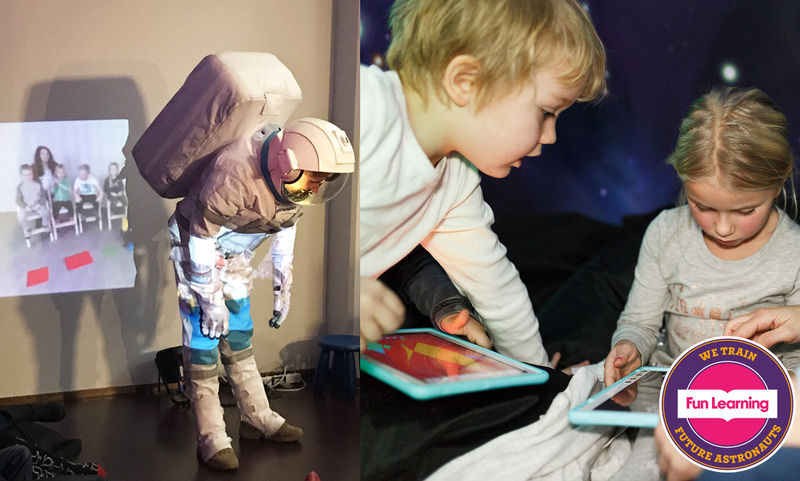 Get access to the Future Astronauts Program for FREE and discover more Fun Learning ideas.